IMS Ltd is the exclusive importer and distributor of the entire SAF-Holland product range and associated OE parts within the UK and Ireland. 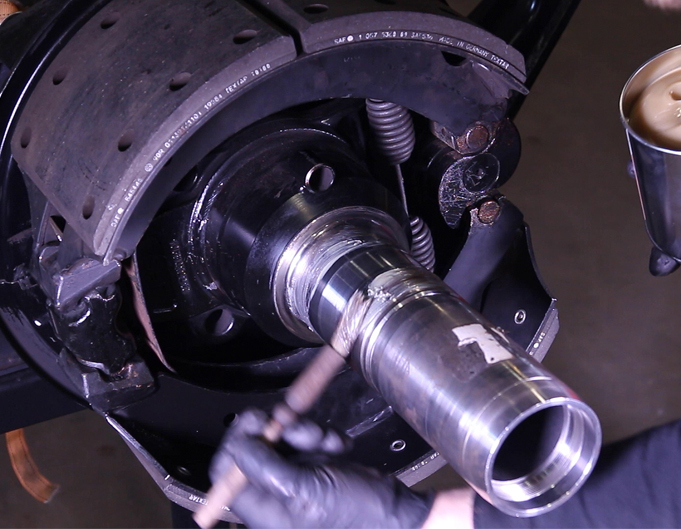 As part of its aftermarket support, the company has produced a series of step-by-step guides covering the SAF- Holland Intradrum axle. 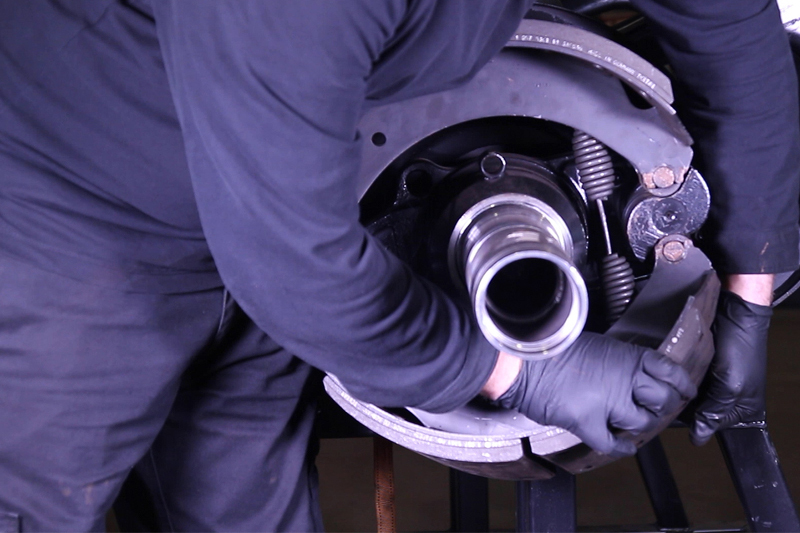 Here, IMS explains how to remove, and then replace, the Intradrum hub and brake shoes. 2. Install the thread protector on the exposed thread to aid removal and protect the thread from accidental damage. Then, remove the hub assembly (and drum); this is a two- person lift due to the weight of the unit. 3. 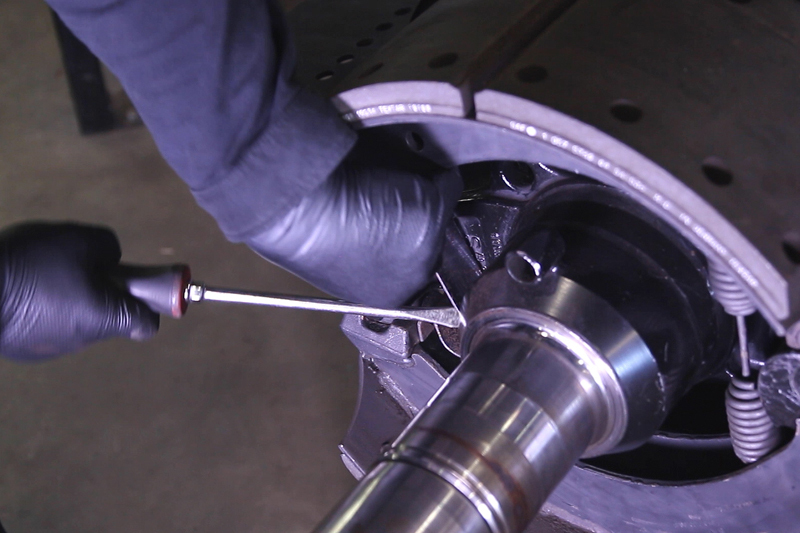 Remove the brake shoe retaining spring using a suitable bar, levering in between the brake spider and clip. 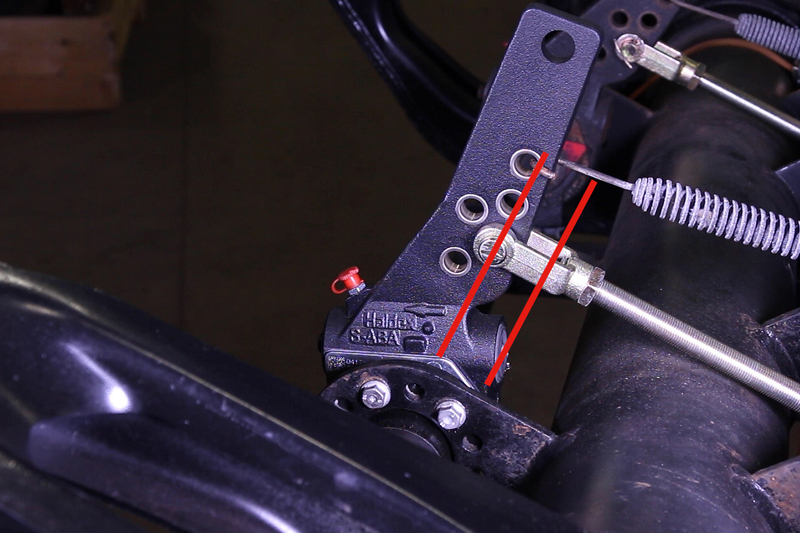 Then, remove the shoes by lifting the free end (removed clip end) upwards, then outwards off the brake cam. Finally, clean all surfaces. Note: the bottom shoe will follow, connected by the return spring. 4. Remove the ball rollers by levering with a suitable pry bar under the edge of the spider and ball. 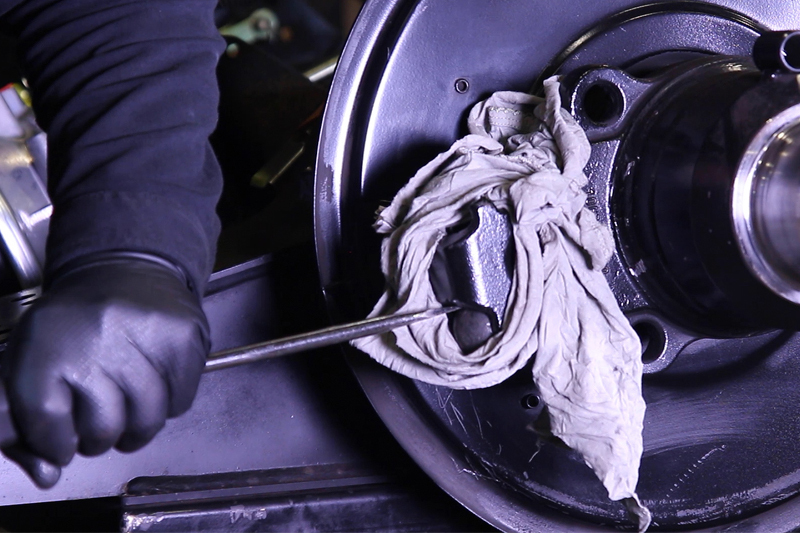 Use a rag tied around the axle end to stop the ball ricocheting when freed. With the ball removed, clean out the recess using a wire wheel as debris built up in the recess will hinder the refitting of the drum later. 5. Refit the ball using a suitable hammer. When fitting the new shoes, ensure the rollers are free and shoe dimensions are the same as the old units. 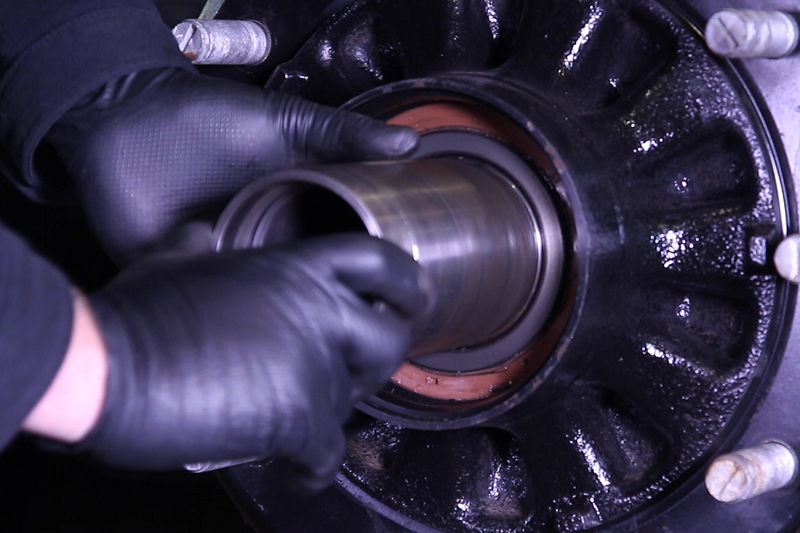 Apply copper grease to the ball socket and edge of the rollers, but not directly onto the roller surface, as this will cause the roller to slide on the cam as opposed to rotating. 6. 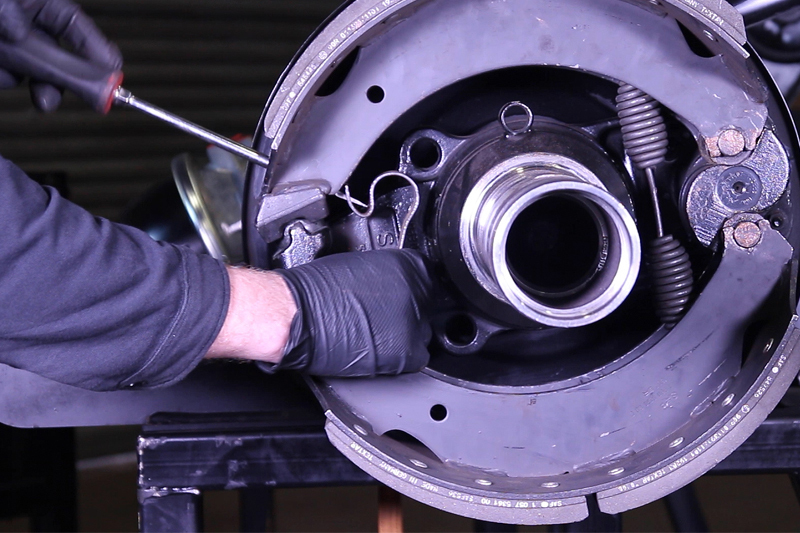 Refit the brake shoe assembly by firstly sitting the top shoe onto the ball and cam, then pushing the bottom shoe over the bottom edge of the cam. Ensure the roller sits correctly on the cam lip. 7. Refit the shoe retention spring; hook the bottom edge over the bottom shoe, then using a suitable pry bar through the end of the shoe into the hole in the spring, push the lever downwards until the clip sits on the top shoe. 8. 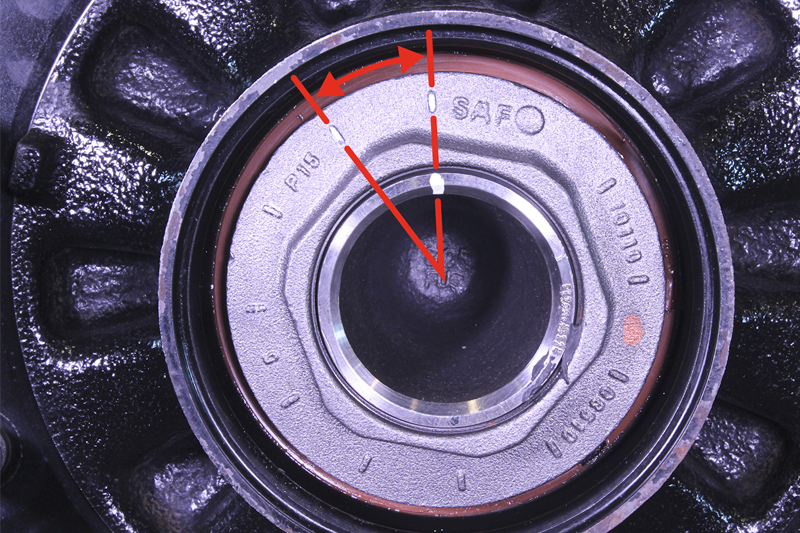 Clean the bearing surface on the stub end and apply anti-fret paste onto the bearing journals. 9. 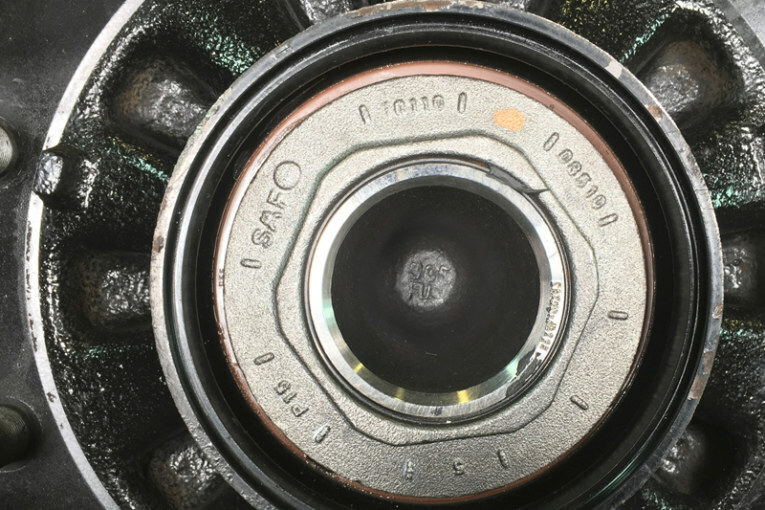 Prior to fitting the hub, ensure the bearing retaining snap ring is still seated correctly between the two bearing races. Refit the O-ring onto the recess. 10. Refit the hub assembly; two-person lift. Then, refit the hub nut and torque to 150Nm; rotate the hub in direction of rotation at least five times, followed by a final 30° rotation, signified by the marks on the nut. 11. Adjust the brakes fully, then back off 3⁄4 of a turn. Finally, apply the footbrake and measure the brake chamber stroke. This must not exceed 2/3 of the maximum stroke of the chamber. Ensure the rub is free running. View the IMS video library here.